With the most romantic flower ceremony, the promise of the one who loves him (her) for the next life. / Product Description / 3 eternal roses + 2 dry sun roses Simple match with imported stars Is the classic proposal bouquet / Size / Width 30 height 34cm / Flower / Eternal rose, imported stars, etc. / Precautions/ . All the items must be packaged in a cardboard box to protect the gift. There is no special gift box. If necessary, please add paper bags. . There are no stock pick orders for production in the store. Ship within 2~3 working days (excluding holidays) after the order is placed. Please contact us for urgent orders and large orders. . Plants grow differently, there is no symmetry or flawless petals, perfectionists think carefully. . The flowers are handmade and the finished product will not be exactly the same as the photo. If there is a shortage of flowers, the designer will adjust the replacement of the flowers in due course. . 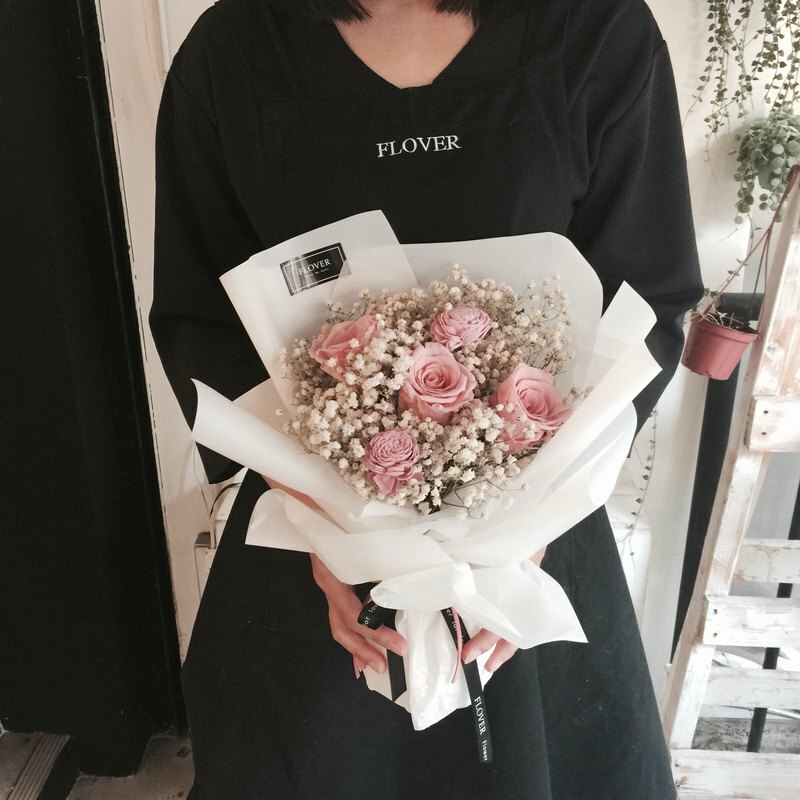 It is inevitable that there will be a slight drop in the dry flower delivery process. / storage method/ . Dried flowers are well preserved for months to two years, and will still fade naturally as the time goes by. . The eternal flowers (without withering) can be stored well for 2 to 5 years and will fade over time. . Dried flowers and eternal flowers (without withered flowers) are placed in a dry and ventilated environment, avoiding moisture and direct sunlight, which can extend the viewing period.